Super Savings! Up to 40% off on Cups, Mugs & Saucers at My Natures Treasures, Page 4. Top brands include Party Central, By Lindsay, & Rikki Knight. Hurry! Limited time offers. Offers valid only while supplies last. Club Pack of 12 Sparkle Spa Party! 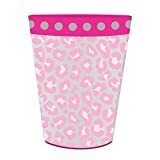 Plastic Birthday Keepsake Cups 16oz.